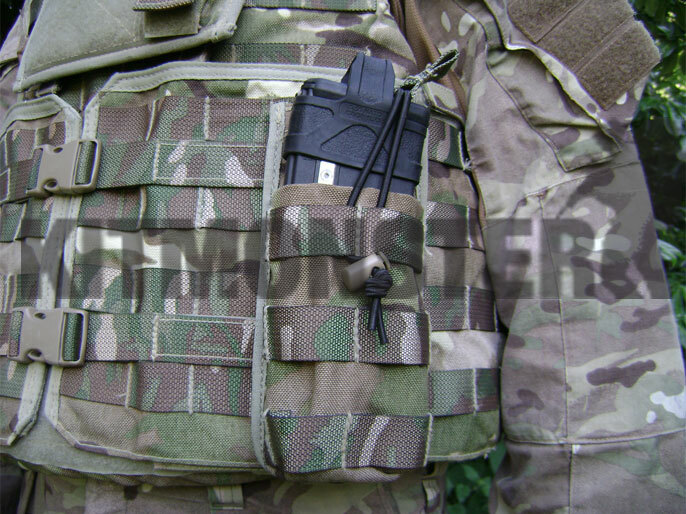 Genuine UK Military Issue magazine pouch in MTP for Osprey Body Armour MKIV and IVA. 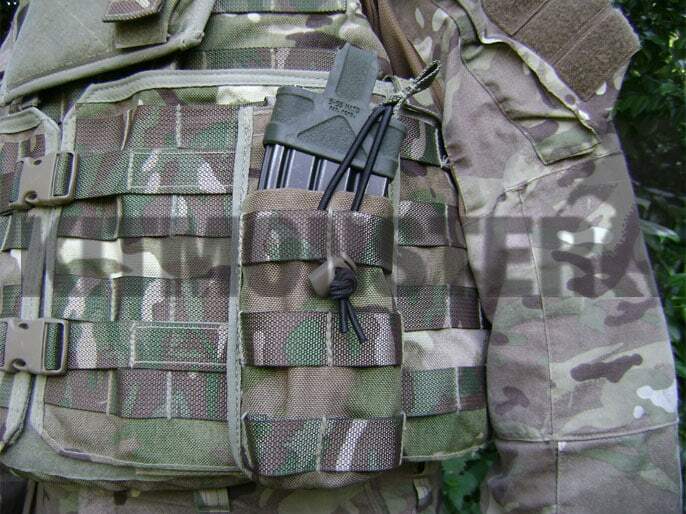 British Multi Terrain Pattern MOLLE ammo pouch in near new condition. Single magazine capacity suitable for most 30 round 5.56mm magazines. Including SA80A2, M16, M4, Diemaco and HK 416. 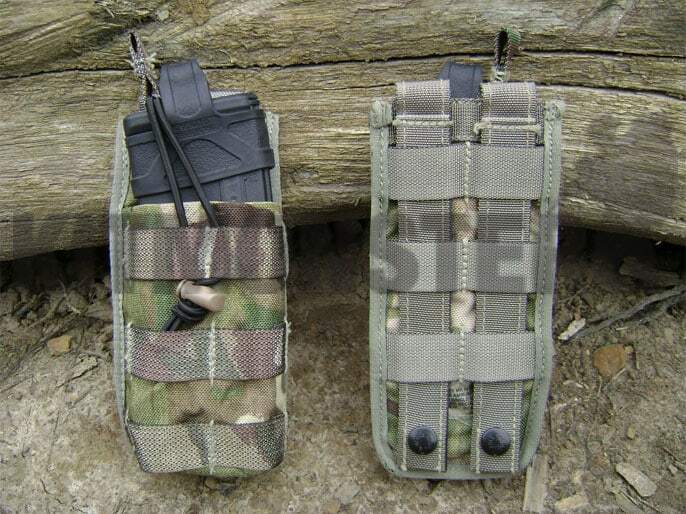 This pouch will also accommodate AK type magazines, and even pistols if desired. Bungee cord closure for swift access. Bungee has pull tab for ease of use and can be length adjusted by knotting. Multiple views shown, single empty pouch supplied. 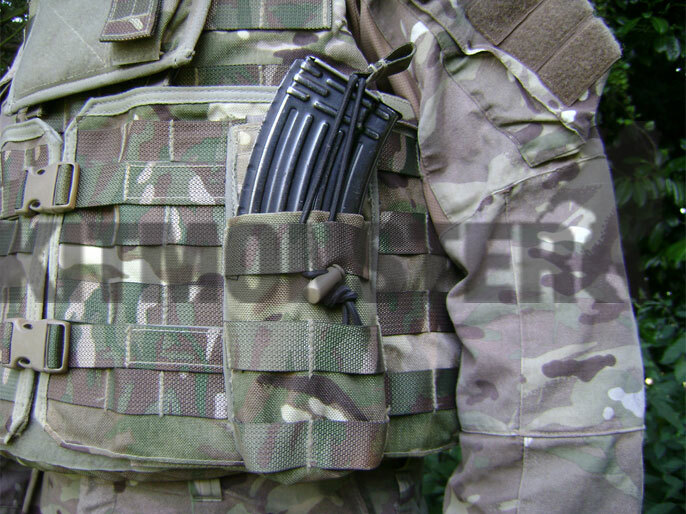 Magazines shown are SA80A2 Polymer E, HK steel and AK47, these and the armour cover are for illustration only, none of these items are included.